Vishal Misra, an accomplished artist/illustrator, has successfully made a name for himself here in North America with his works. Supplied photo. Mentally strip all existing artwork from the walls of your favourite room; ditch the decorative curios, collectibles and what not crammed in the tables and sideboards. Then, in your mind’s eye, visualize a Vishal Misra art (large acrylic canvas featuring a subliminal Indian theme) placed strategically at eye-level. Each time I have performed this exercise, I have been stunned by how Vishal’s work can complete any space with its hypnotic presence. The room doesn’t need anything else to embellish it. Here’s neat thing; one doesn’t have to be a connoisseur of art or schooled in some aspect of it to appreciate the lines and the stroke of his brush and the harmony of colours. Vishal’s repertoire of subjects spans the breadth of human consciousness. Spiritualism, eroticism and street scenes from India are all elevated into abstract pieces that speak to you on a visceral level. Recognize a whiff of Picasso or M.F. Hussain in Vishal’s work? That’s incidental. The Toronto artist/illustrator admits he’s self-taught and heavily influenced by the cubistic styles of the two masters. During the day, this transplant from Mumbai, handles numbers, financial projections and audits. In the evenings and weekends, he transforms into an all-consuming artist completely lost in the pigment of his imagination. Yes, that’s a “pigment” not figment. Well, it was in the train Vishal realized the potential of his talent. Vishal Misra, a transplant from Mumbai, has a deep connection with Lord Ganesh. 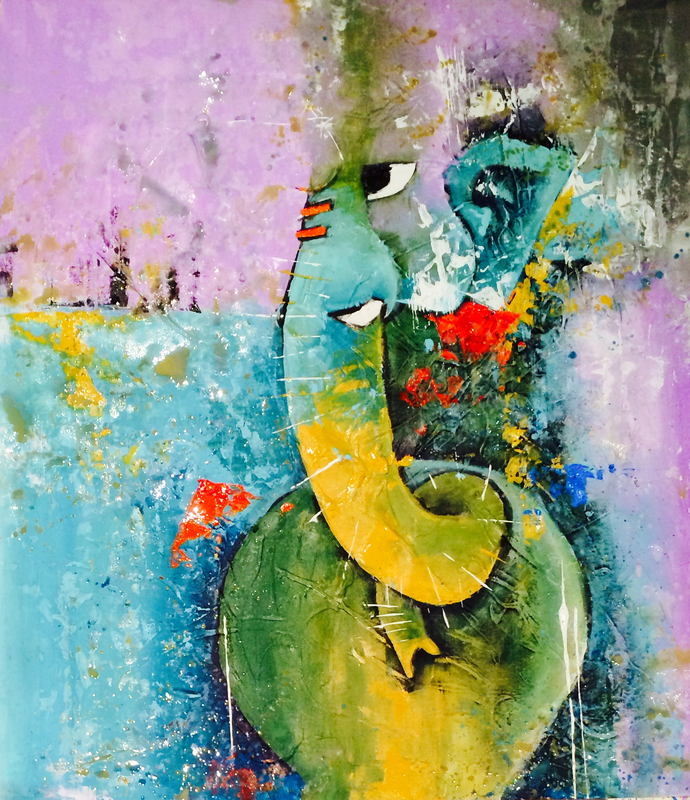 His interpretation of the Elephant God elevates the piece to a subliminal experience. Supplied photo. A few years after Vishal immigrated to Canada, he was on the train, doodling away and oblivious to his surroundings when a fellow passenger asked him if he would give her the sketch he was working on. Vishal refused. The woman persisted and then offered him $50. Born to middle-class parents, Vishal grew up in Mumbai. Even though his Dad dabbled in art (purely as a hobby), his parents believed academics was the only thing that mattered. And like every other South Asian parents on the planet, the Misras too wanted their son to become either a doctor or an engineer. When Vishal landed in Toronto, he went back to school, upgraded his education and soon after landed a job with a well-known accounting firm. At this time, he began to reconnect with the easel and the brush and became a member of the Mississauga Arts Council (MAC). The consortium helped him to grow, network and interact with other artists. Over the last eight years, Vishal’s works have graced the walls of numerous solo and group exhibitions in Canada, the U.S., Asia, Middle East and Europe. Some of his bigger works currently command four figures and an artist, Vishal is well recognized here in North America. 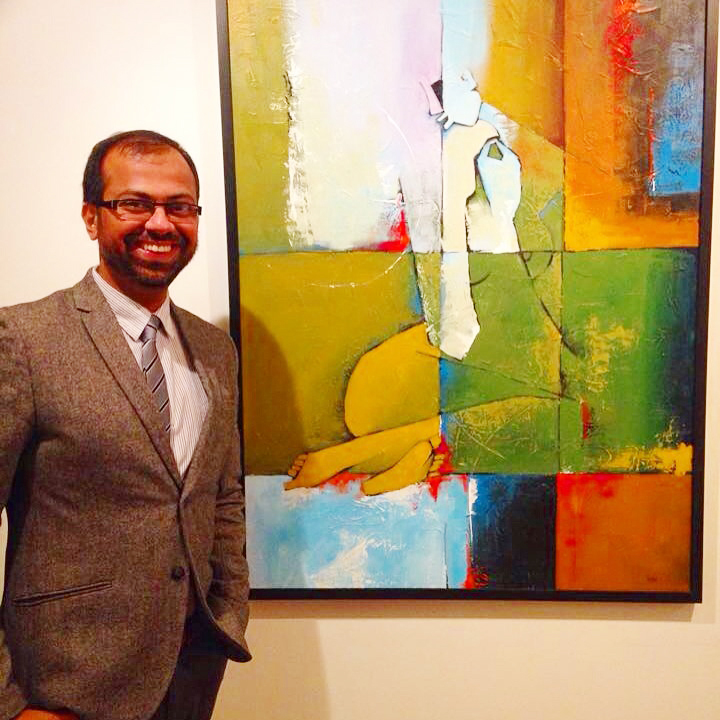 In 2005, Vishal met and married Anu Vittal, an artist as well and began to articulate his emotions through art. In Anu, Vishal found his muse. Sketches with underlying tones of eroticism soon began filling his sketchbook. Vishal then decided to interject contemporary and western-style elements to traditional Kama Sutra images. His fresh linear look offers a new perspective to century-old art. Toronto native Vishal Misra took the traditional positions of Kama Sutra, an ancient Indian tome on sexuality and added a modern and contemporary twist to it. In each and every piece, Vishal infuses his art with his interpretation of events. He begins by capturing an idea then distorting it so that the viewer sees in it what they want to see. You can take a peek at Vishal’s portfolio here. So, seeing Indians world over are getting ready to celebrate festivals of renewal and new beginnings, Toronto Desi Diaries has decided to introduce a new feature: a monthly events calendar. 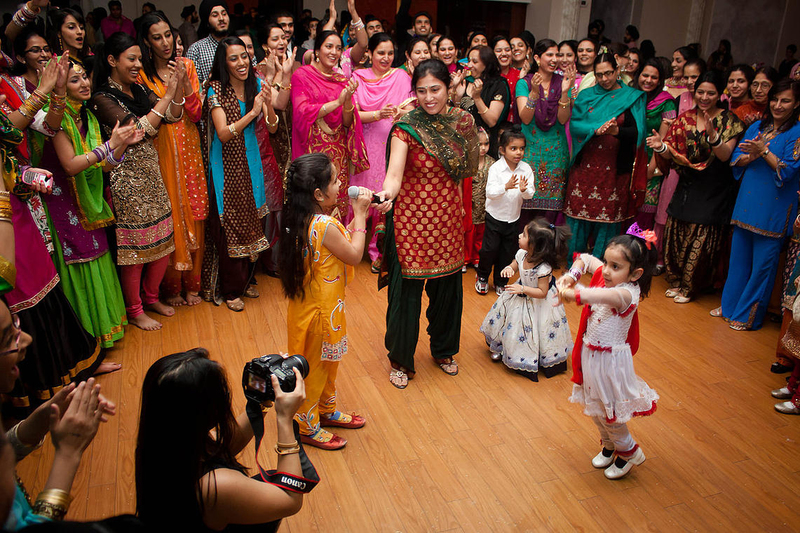 The idea is to shine the spotlight on some of the desi events taking place in the Greater Toronto Area. So, if you or your organization has something coming up and would like it to be featured on the blog, shoot me all the relevant details (What, where, when along with a high-rez photograph) and send it to: Toronto.desidiaries@gmail.com. Deadline to submit is a month in advance. 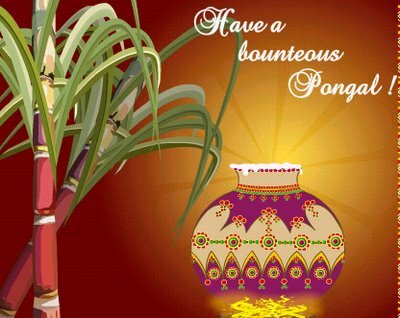 Pongal is a four-day harvest festival celebrated in Tamil Nadu and is similar to the Makar Sankranti and Lohri festivals of the north. This year, the four-day Pongal falls on Jan. 14 to 17. The festival can be called the Tamilian equivalent of Thanksgiving. The traditional fare in most homes consists of bounties of a good harvest. In homes, rice, sambar, medhu vadas, assorted vegetables topped off with a dessert called Sarkara Pongal made with rice and jaggery and seasoned with a dollop of ghee will likely be simmering on the stoves soon. Homes are decorated with kolam (rangoli) and people wear new clothes. The festival is dedicated to the Sun (Surya) God. In Toronto, the Bharathi Kala Manram will begin the year in an auspicious way with its the 2015 annual Pongal celebrations. The event will feature cultural events, the group’s annual general meeting, socializing and more and will take place at the Yorkwoods Public Library, Finch Ave, Downsview, on Saturday, Jan. 17 between 4 p.m. to 8 p.m. Please email, info@manram.org to participate. Just a quick note: Bharathi Kala Manram was started in 1969 as a portal to celebrate South Indian culture and traditions. The organization enhances its mandate with Indian classical events and Carnatic music concerts. The 2015 Lohri for Her will take place Sunday, Jan. 25 at the Versailles Convention Centre at 6721 Edwards Blvd. Mississauga at 5 p.m. The event is hosted by Nach Balliye. You may remember Nach Balliye from my blog I wrote on its founder Sumeet Gill last year. This is the group that has been hosting some great events such as the Pink Ladoos and the Lohri for Her to promote the concept of gender equality and raise awareness about the abhorrent practice of selective abortion of female fetus. On Jan. 25, Nach Balliye will be once again hosting its 4th annual Lohri for Her at the Versailles Convention Centre at 6721 Edwards Blvd. Mississauga. There’s a popular segment called Lohri Princesses in which parents of a girl child parade their precious blessings and celebrate her arrival in their lives. This is a hugely popular event and tickets get sold quickly and have to be purchased in advance. Proceeds go towards Nach Balliye’s initiatives. Interested? Please contact Gurleen Sidhu at 647-519-9335 or visit www.lohriforher.com.